Three Teens Injured in Mandarin Boulevard Crash | Schuler, Halvorson, Weisser, Zoeller & Overbeck P.A. Three people were injured in a two-car crash on Mandarin Blvd. and Valencia Blvd. The red SUV occupying three teens collided with a car at the intersection of Mandarin Blvd. and Valencia Blvd. Their SUV overturned several times due to the impact. 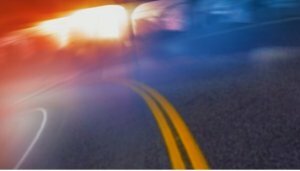 The crash happened in an area where the posted speed limit is 40 mph. All three teens in the SUV were injured. Two of them were seriously hurt and transported to St. Mary’s Medical Center in West Palm Beach. A woman in the other vehicle that hit the teenagers’ SUV was also injured. “The cars come down this street at 70-100 miles an hour. Unbelievable speeds, said an eyewitness who lives nearby. A sheriff’s spokeswoman says it appears none of the three victims has a life-threatening injury. She did not have any details on who was determined to be at fault in the crash. We talked to some of the residents in the area where the accident happened. “That’s really upsetting and sad that they got in a car crash and I hope they’re okay,” said a resident. “Unfortunately we had a student killed in a car crash a year ago so this is just another reminder that traffic out here is not ideal. There’s a lot of situations with lack of stop signs and some dangerous driving conditions for our kids,” said the resident. The victims have been identified as high school students. The principal says depending on the condition of the injured students, he’ll have grief counselors at the school if necessary. He is not releasing the names of the students and so far the sheriff’s office has not released the names of ages of the three victims.